the continuing importance of Derrida's work to philosophy. 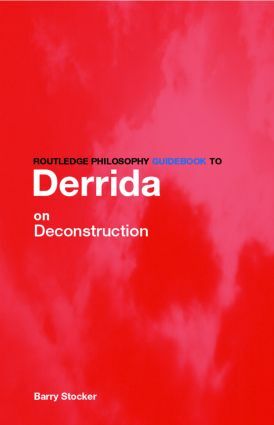 This is a much-needed introduction for philosophy or humanities students undertaking courses on Derrida. Routledge Philosophy GuideBooks painlessly introduce students to the classic works of philosophy. Each GuideBook considers a major philosopher and a key area of their philosophy by focusing upon an important text – situating the philosopher and the work in a historical context, considering the text in question and assessing the philosopher’s contribution to contemporary thought.